The track will be open for warm-ups at the conclusion of the High School meet and will close 15 minutes prior to the first event. 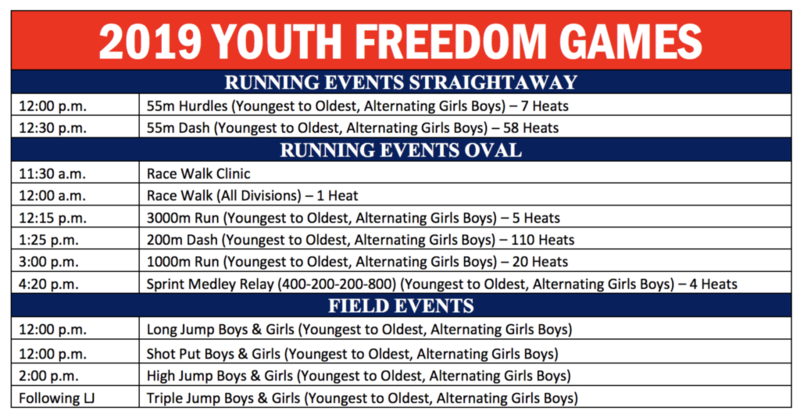 55m hurdles and the 55m dash will check in on the infield and the oval events will check in on the first floor. Please make sure your athletes have their stickers and know their heat and lane. Heats sheets are posted online at the link below and assignments are also listed on their stickers. Awards will be available at the front desk and packaged by team. Field events will check in at the event. Please do not resport to an event unless your age group is called. Coaches are NOT permitted on the infield and should not be on the first floor of the facility.